Learn how to do a fabric burn test that helps you identify what a fabric is made of. A burn test is performed by setting a small piece of fabric on fire, monitoring the flame as it burns, and inspecting the ashes after the flame is gone. Knowing fabric content is important to quilters because we typically sew with 100 percent cotton. It's especially important to know fiber content if you exchange fabrics with others who expect to receive cotton fabrics. No matter what type of project you are working on, from quilts to upholstery, a burn test that identifies fibers will help you determine proper care instructions. Think You're Buying 100-Percent Cotton? Do you ever buy fabrics on eBay or at estate sales and flea markets? 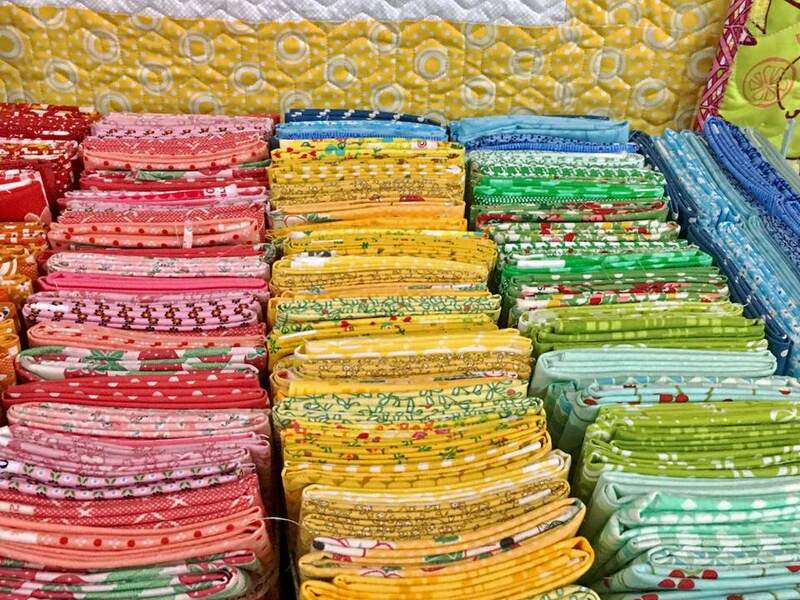 What about your non-quilting friends, do they ever offer to give you excess fabrics? Have you received unknown fabrics in a fabric exchange? Unless you are sure that fabrics are cotton, there's no way of knowing their fiber content without performing a few tests. A flameproof container with walls—try a large ashtray and consider placing it in another container, such as a sink where water is handy. Perform the burn test outside on a day that's not windy, or in a well-ventilated area inside, away from flammable items, children, and pets. Cut small pieces of each fabric you want to test, such as 2-inch squares. Place a piece of the fabric in your fireproof container and ignite one corner. Pay attention to the odor of the smoke. Cotton smells like burning paper and has an afterglow at the end of the burn. An odor similar to burning hair or feathers indicates wool or silk fibers, but silk doesn't always burn as easily as wool. A darkish plume of smoke that smells like chemicals or burning plastic probably means the fabric is a cotton/polyester blend. Examine the ashes after they've cooled. Cotton ashes are soft and fine. They turn to dust when touched. Black, brittle remnants that crush between your fingers are probably the remnants of wool. Hard lumps are the remains of melted synthetic fibers. Take one more step. Unravel a clump of threads from another small swatch of the fabric. Hold the clump with tweezers (over your flameproof container) and ​slowly move a small flame towards the clump. Cotton fibers ignite as the flame draws near. Synthetic fibers curl away from the heat and tend to melt. To see exactly how each type of fabric reacts, perform experimental burn tests on fabrics you know are made from cotton, cotton/polyester blends, wool, and other fibers. Linen produces results that are similar to cotton but linen burns more slowly. Rayon keeps burning after the flame is removed, and although it has an odor similar to cotton or paper, it does not have an afterglow. There are no quilting rules that says you must sew with one type of fabric or another. Go ahead and use a fabric if you like it, but do try to determine what type of fabric it is so that you'll know how to care for the quilt when it's finished. Most quilt block and fabric swaps require that you use all-cotton fabrics. Reserve fabrics made from other materials for your own use or for swaps that allow variations.